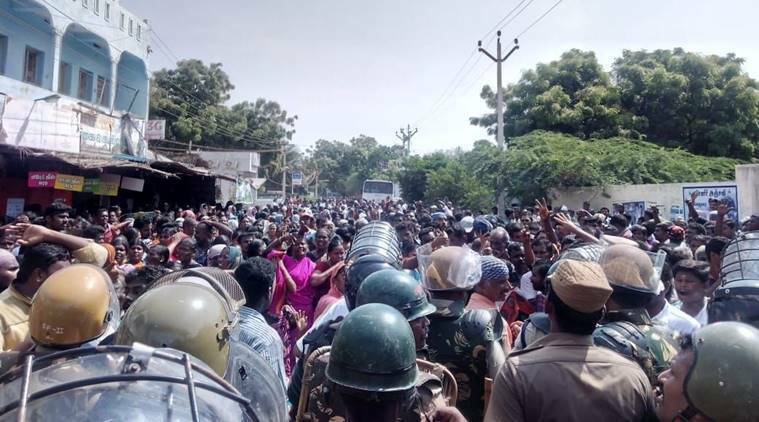 Anti-Sterlite protest: Protesters at the site have cited pollution from the copper plant, including issues relating to disposal of copper waste and effluents from the operational unit, demanding its permanent closure. CONCERNS over pollution have dogged Sterlite Copper unit that has been in operation in Tuticorin since its inception over two decades ago. At the heart of the fresh protest at the unit, one of the country’s biggest copper smelters that is owned by Vedanta Ltd — a majority-owned subsidiary of London-listed Vedanta Resources — is a brownfield expansion of the plant, entailing a doubling of the capacity of the smelter to 800,000 tonnes per year. Protesters at the site have cited pollution from the copper plant, including issues relating to disposal of copper waste and effluents from the operational unit, demanding its permanent closure. Vedanta’s Sterlite and Aditya Birla Group’s Hindalco Industries Ltd are the two biggest copper producers in India. Alongside Hindustan Copper Ltd, a central government public sector unit that has the capacity to produce 99,500 tonnes of copper per year, Hindalco Industries and Sterlite dominate India’s copper market. Hindalco has a capacity to produce 5 lakh tonnes and Sterlite 4 lakh tonnes of copper annually at present. While the plant has been the subject of protests over pollution since its commissioning in 1997, a gas leak in March 2013 from the plant came as a fresh trigger that led to the then Chief Minister, J Jayalalithaa, ordering its closure. After this, the company moved the National Green Tribunal against the state government. The Tribunal then overturned the government order, following which the state moved the Supreme Court. 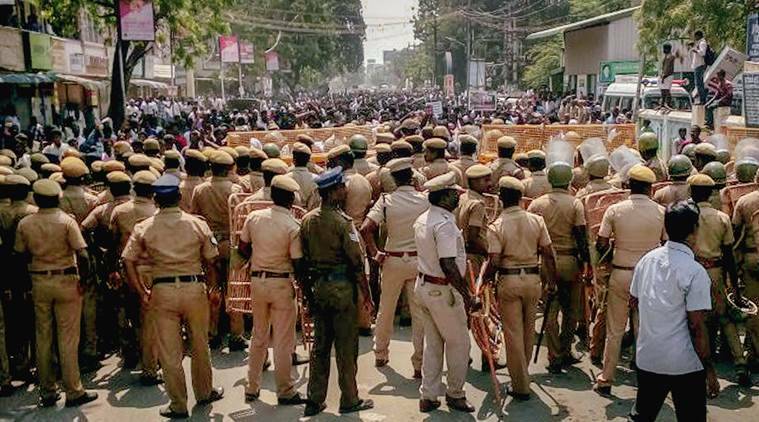 ALSO READ| What is anti-Sterlite protest? Meanwhile, the Tuticorin plant has been shut since March 27 this year, with the company citing the closure as a part of 15-day maintenance. Incidentally, the company had consent to operate the plant until March 31 this year. In successive letters sent by Sterlite Copper to the Ministry of Environment and Forests, it sought an 18-month extension of the validity of the environment clearance for the Copper Smelter Plant-II project. The two letters are dated January 29 and February 8 this year. In the second letter in February, Sterlite Copper has filed an application for “obtaining environmental clearance for proposed capacity enhancement” of the “Copper Anode production from 1200 tonnes per day to 1440 tonnes per day by process optimisation in the existing copper smelter plant-I” in Tamil Nadu’s Thoothukudi. The MoEF website, under environmental clearances, states that last clearance was granted on July 23, 2015. 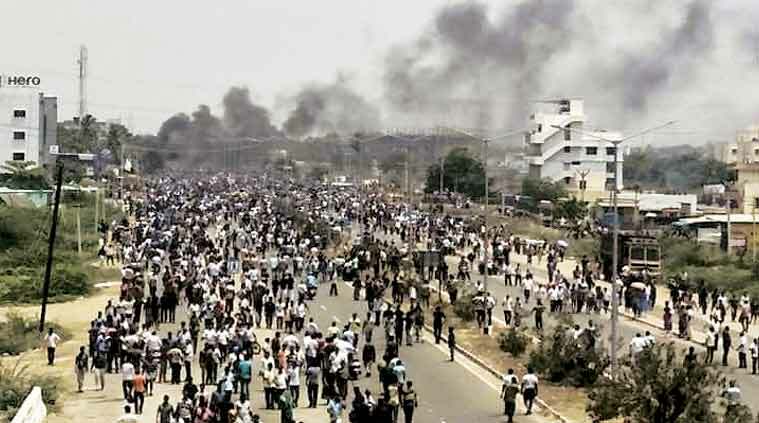 The legal challenges surrounding the Sterlite plant in Tuticorin has been on ever since it received clearance from the Tamil Nadu Pollution Control Board (TNPCB) in August 1994, alongside clearances from the Ministry of Environment and Forests in January 1995. 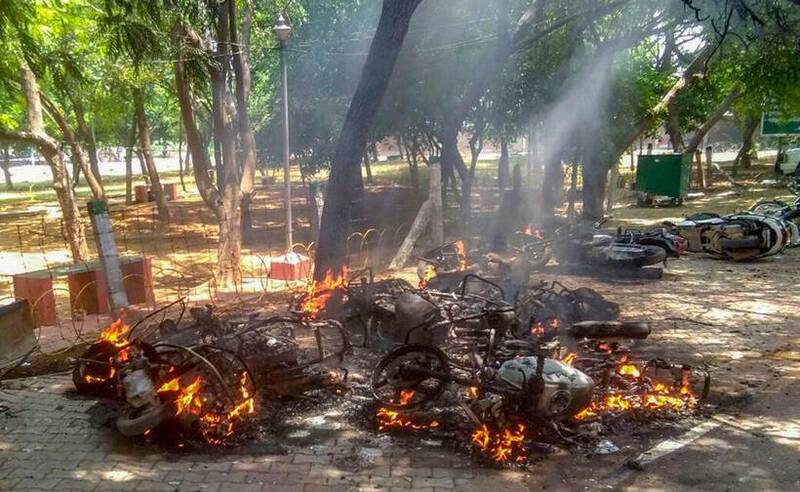 As soon as it received the permissions, these were challenged before the Madras High Court in 1996 by the National Trust for Clean Environment. The company, however, went ahead and set up the plant that commenced production in 1997. Fresh petitions were filed seeking directions to take suitable action against the company for alleged failure to take safety measures due to which there were pollution and industrial accidents at the plant. In September 2010, the High Court allowed and disposed the writ petitions with the direction to the company to close down its Tuticorin plant. The company went in appeal to the Supreme Court which passed an interim order staying the High Court order. Then, on the morning of March 23, 2013, complaints of eye irritation and suffocation were reported by people in the vicinity of the plant, following which the facility was inspected by the District Environmental Engineer. Later, the Collector issued a press release stating that the emissions of sulphur dioxide were found within overall limits and that it was not the case that the public had been affected by it. On March 29, the TNPCB ordered closure of the plant after local residents complained about noxious emissions. Meanwhile, the Supreme Court, in its order dated April 2, 2013, set aside the High Court order but directed the company to deposit Rs 100 crore within three months with the Collector. The money was to be utilised for taking measures to improve the environment, including water and soil in the vicinity of the plant.